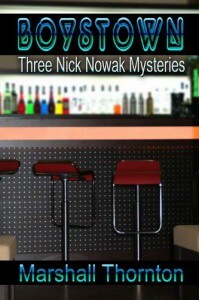 Three short stories that introduce the reader to Nick Nowak, private eye, dismissed police officer of the Chicago PD and exiled from his family for being gay. This is Chicago in 1980. These are noirish stories where we learn about Nick's life, how he deals with the job, his isolation from his fairly large Polish family who are all connected to the Chicago PD one way or another. The casual hook ups, the gay community as it were, the pre-AIDS times (but right at the beginning of the awareness of AIDS) are well portrayed. This is a bit rough around the edges as far as writing goes but it fits with the characters, the times and the place. I will be reading more of this series.